The System for Effective Educator Development (SEED) is a professional learning system that stems from campus and district goals and utilizes collaborative learning communities to influence educator practices across all levels and positively impact student learning (Holland, 2005). Effective teachers are encouraged to pursue campus leadership roles through SEED teacher leader positions as well as through the Texas Teacher Residency Program (TxTRP), which provides a system of targeted support for novice teachers. TxTRP draws on the medical model approach to provide intensive and individualized coaching, mentoring, training, and support that novice teachers often lack (Darling-Hammond, 2013; TEA, 2015; Wei, et al., 2009). 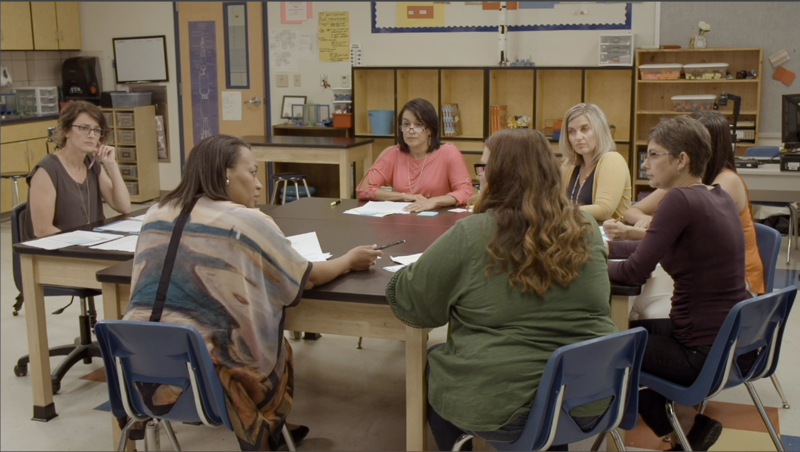 Learn more about two initiatives that can assist you in maximizing teacher effectiveness — System for Effective Educator Development and Texas Teacher Residency Program. The Texas Center for Educator Excellence (TxCEE) strives to provide differentiated, sustained professional learning opportunities to support educator success to impact student learning. Our key priorities are investing in and equipping educators with research-based resources and strategies to implement in instructional settings, as well as building capacity of campus- and district-level administrators to influence educator practices that positively impact student learning. The Texas Teacher Residency Program (TxTRP) provides a system of targeted support for teachers who are new to the profession. Districts have the opportunity to expand the residency programs to include “developing” educators—as determined based on outcomes from the evaluation systems—who may also benefit from this additional degree of intensive support. The TxTRP provides mentoring and individualized job-embedded support to novice teachers. The TxTRP draws on the medical model approach to provide an additional degree of support and peer guidance that novice teachers often lack (Darling-Hammond, 2013; TEA, 2015; Wei, et al., 2009). The TxTRP supplies the new teachers with intensive and individualized coaching, mentoring, training, and support by highly effective and well-trained Attending Teachers. Teachers who have received an effectiveness rating of “highly effective” will have an opportunity to apply for the role of Attending Teacher. They will receive an annual stipend for assuming this role and will receive an additional stipend if their mentee receives an effectiveness rating of “effective” or higher after the year of mentoring. The Attending Teachers will receive release time from their classroom duties to work with the novice teacher. This time out of the classroom affords the Attending Teacher the opportunity to engage in co-teaching, peer observations, instructional rounds and hands-on support with the novice teacher. The amount and frequency of the release time from the classroom will be a joint decision of the principal, attending teacher, and the teacher resident.